Color is a tricky son of a gun. Done correctly, you come across as fashion forward. Do it poorly, and well, you're Jalen Rose circa 1994. Fortunately for all involved, not only was this year's NBA draft rich in point guards, but it also was rich in smart fashion choices. Just in time for the opening of "Bruno." "I was really expecting the worst," said Fern Mallis, a judge on Bravo's "The Fashion Show." "In the past, you would see a lot of poorly dressed, tacky players. But this year, I didn't see anyone who was offensive. They all looked pretty good, and some of the players looked great." Ben Tobar, who has helped style Detroit Red Wings and Orlando Magic players, said that if he had one criticism for the night, it would be tailoring. "The ripple in a shirt in between the lapels of a coat is a dead giveaway a shirt is too big," said Tobar, who works at the boutique A.K. RIKK'S. In a time when the line between sports and pop culture is significantly blurred, walking on stage to shake David Stern's hand is like walking the red carpet at the Oscars. Lots of cameras. Lots of scutiny. Lots of folks wondering, "What in the world is he wearing?" We asked Mallis, Tobar and Byron Regej, art director for Condé Nast publications, to give us their thoughts on players' fashion choices. and the No. 1 fashion draft pick will be revealed in the last photo of the gallery. 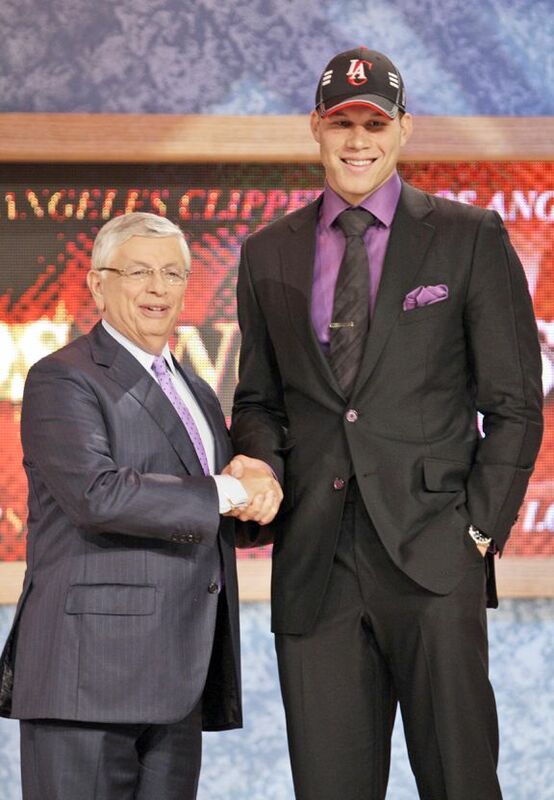 Fern Mallis on Blake Griffin's look: He looks cooler than David Stern, but he was my least favorite outfit. I like a man who is willing to try color, and this season it's all about color. That really worked, but I would've preferred him trying a thinner knot with his tie. It was too much. But the tie pin is coming back, so that was a good move. TrueHoop: Upside of falling | Rubio in Minn.
Is Isiah Thomas a draft day genius?